Now that we’re well into October, your kids may be getting into the rhythm of getting up and going to daycare and making friends. But this can also mean germs are spreading from surface to surface and from hands to hands. This time of year, especially at a daycare, it is a challenge to keep the family healthy and cold-free. 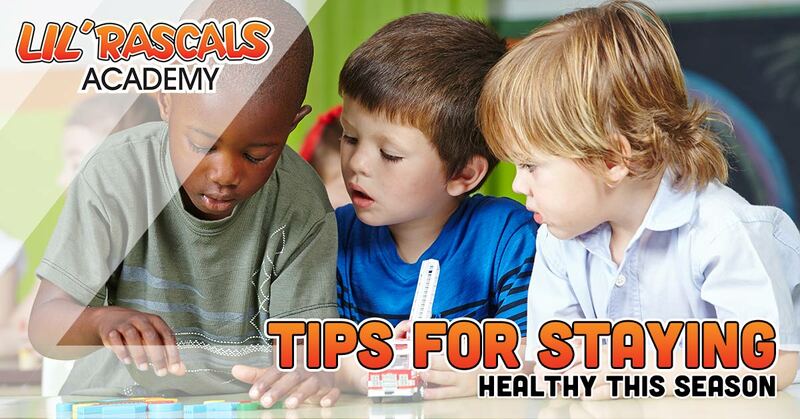 At Lil’ Rascals Academy, we want to ensure that our students are healthy and learn about proper hand washing and all of the healthy habits that they need to stay healthy. So, how do we make that happen? Our daycare strives to make regular hand washing a habit that is instilled in each student. By washing our hands after certain activities, before we eat, and when visiting the restroom, we can prevent germs from being passed around. When children come home from our facility and after play days are also great times for them to wash their hands. We try to teach our students to sing “Happy Birthday” so that they wash their hands for 15-20 seconds. Keeping an active lifestyle at any age is good for our health. Regular visits to the playground or a simple walk around the block will do wonders at preventing colds and the flu. Exercise, combined with eating healthy and being aware of germs, can reduce the chance of illness by increasing the circulation of infection-fighting cells. So instead of spending extra time watching TV, make it a habit of going outside for half an hour instead. When our children’s bodies are stressed or tired, it makes fighting colds and the flu harder. It’s hard to prevent all germs from being passed around, but with 11-13 hours of sleep for preschoolers and 14 hours for babies, their bodies can stand up to illnesses that are commonly spread around. At our daycare, we ensure that all of our students get the sleep they need. When considering the ages of kids at our daycare, this one is a challenge, but it is still equally important. Since many germs enter our bodies through our nose, eyes, and mouth, it’s important to avoid these areas. This is why hand-washing is such an important method of keeping healthy. A strong immune system goes a long way in preventing colds and the flu. We want the kids at our facility to eat colorful meals, filled with fruits and vegetables that will give them the nutrients they need. Fill up on foods that are rich in Vitamin C such as broccoli and oranges, and Vitamin D such as tuna and milk. We understand that children can be very picky eaters, but adding in these foods can be made fun with food coloring or tasty smoothies. Heading into the winter season, even if our Pembroke Pines day care doesn’t get too cold, there is still a chance of kids getting colds and generally feeling under the weather. There are plenty of ways to prevent this and we will take every action possible to ensure that our students are healthy and safe throughout the year. 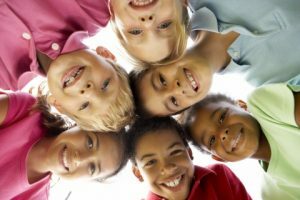 Learn more about Lil’ Rascals four locations here and give us a call to schedule a tour or learn about our curriculum.